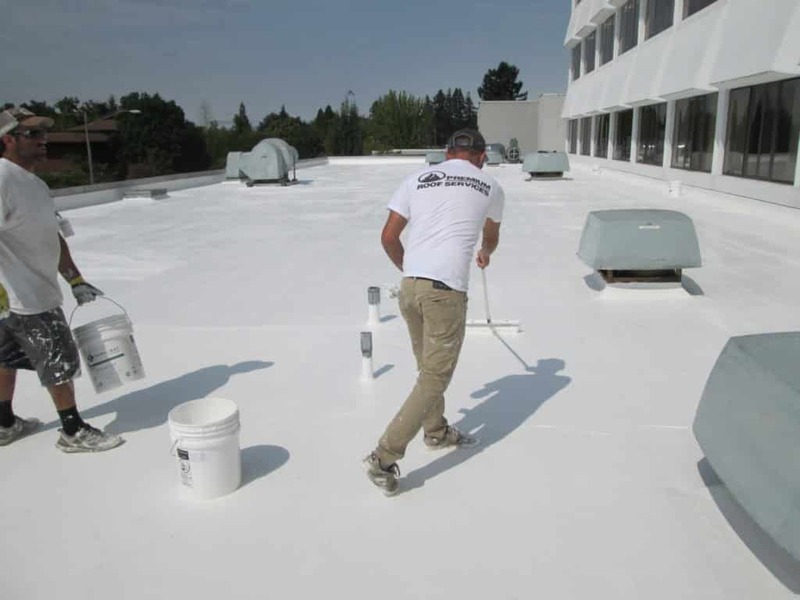 Single-ply roof systems are aggressively marketed to provide strength, flexibility, and long-lasting durability. 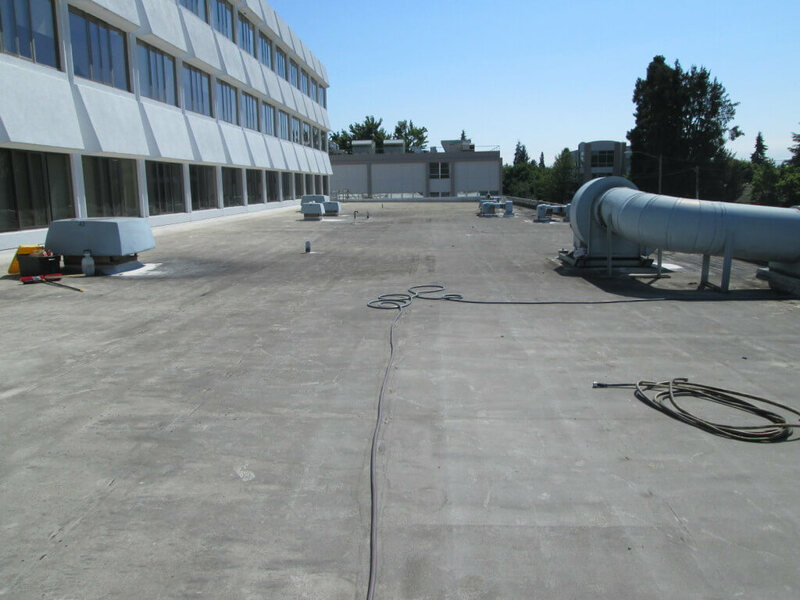 Field Testing and performance evaluations of several roofs has us questioning whether that is true. We have performed all the research and formatted the information we found into one easy to read chart. Overall Cost Savings: $.24 per sq. ft. per year over 20 years. Saved Over $30,000! In this cost analysis, SureCoat Senior Product Specialist, Emmie Limon, assesses the overall cost of a SureCoat Seamless Single ply roof system and compares the savings to that of a traditional single-ply roof membrane; analyzing actual cost of installation, maintenance and repairs over the course of 20 years. The advantages of seamless single-ply roof systems are the consistency and the quality of the products applied. 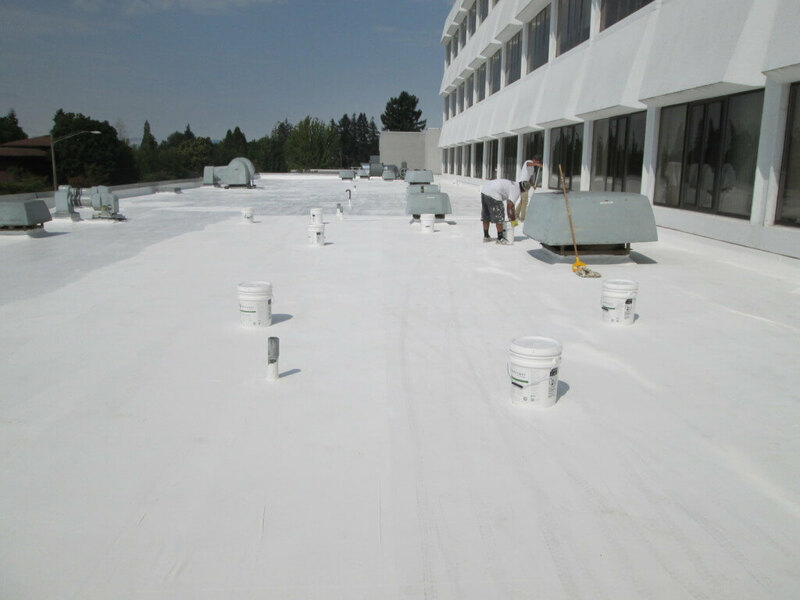 TPO (Thermoplastic olefin) is a single-ply roof membrane that is typically mechanically fastened to the roof substrate is held together with heat welded seams. 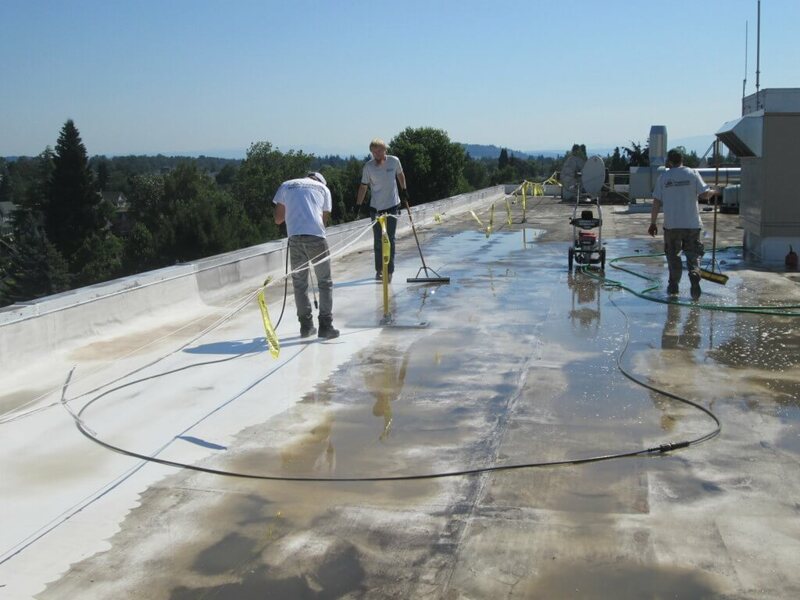 TPO roofing has seams every few feet and special flashings. Solar reflectivity often decreases dramatically over time in TPO roofing membranes; the UV rays from the sun cause these single-ply roof membranes to break down and deteriorate. 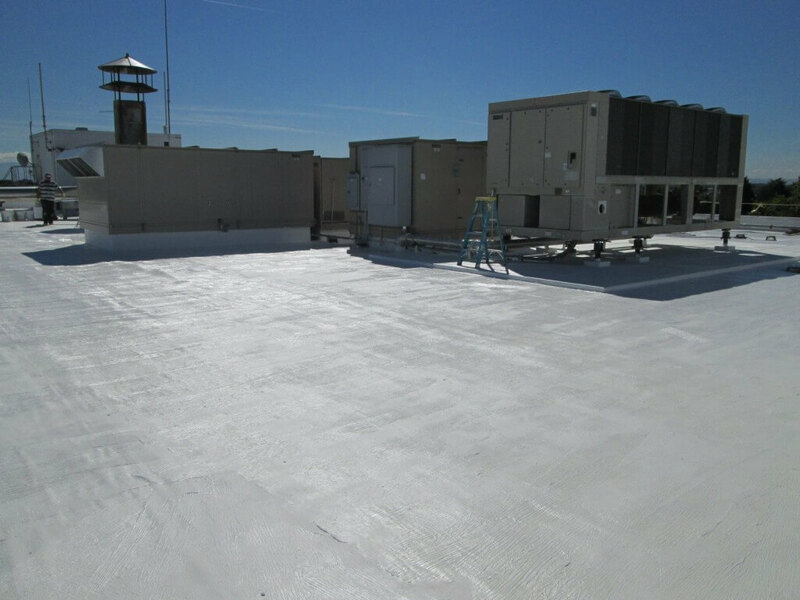 Many brands of bright white TPO and PVC single-ply roof membranes have a solar reflectance that is reduced by 20-30% in just the first 3 years. This makes the TPO or PVC vulnerable to excessive exposure of these rays and premature deterioration. The expected overall life cycle is decreased by this premature deterioration. Seams begin to separate and water gets under the TPO single-ply roof membrane and runs along the roof deck until it finds a loose fastener. Leaks appear inside at one location but the water intrusion may begin in another area of the roof. 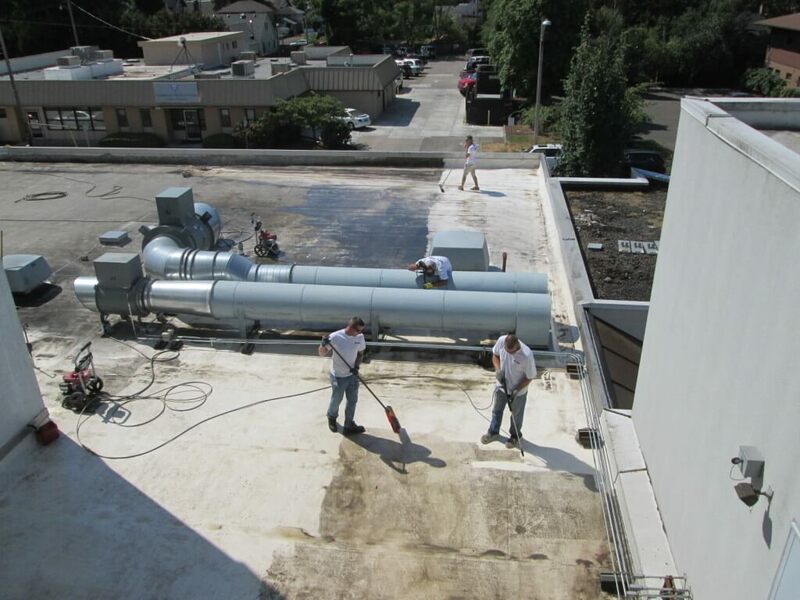 TPO roof systems do not cover leaks caused by ponding water. 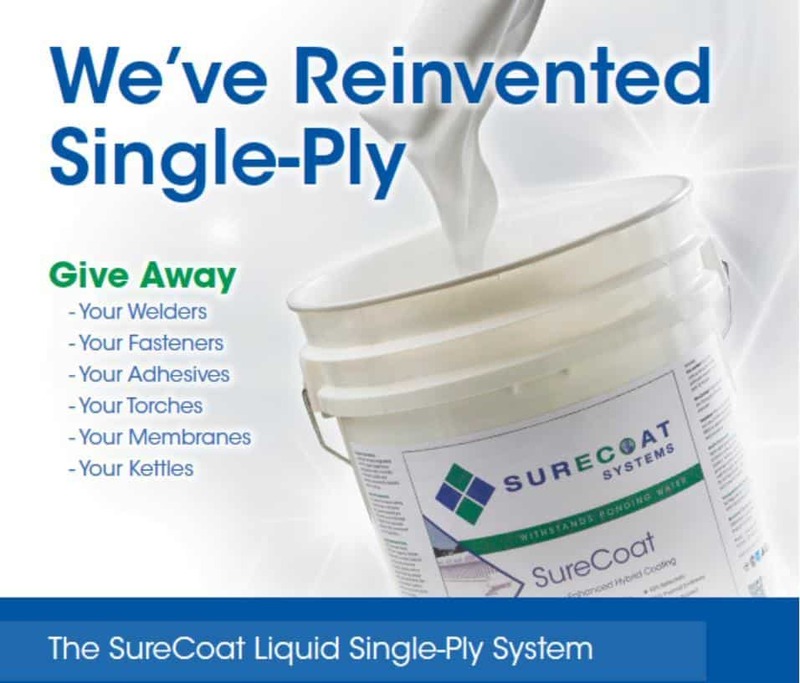 The SureCoat Seamless Single-Ply Roof Coating System is the best roofing restoration solution available today and stops leaks caused from ponding water! PVC (Polyvinyl Chloride) is a synthetic plastic polymer used in the manufacturing of several products including roof membranes. According to Wikipedia, PVC is the third most widely manufactured synthetic plastic. In the manufacturing of PVC single-ply roof membranes, plasticizers are added to the PVC to increase the flexibility of the plastic and increase elasticity. PVC, like other single-ply roof membranes, require special flashings at the penetrations and around equipment curbs. Seams are either heat welded or “glued down”. Some PVC single-ply roof membranes used in cold climates has been known to stress-shatter causing hundreds of little star-like fractures in each sheet, leaving even more opportunity for water intrusion. When PVC reaches the end of its life cycle, it has to be torn off and replaced like traditional roof materials. The old PVC single-ply roofing ends up in landfills. Unfortunately, PVC is made with 30% chlorine and is potentially hazardous to the environment and people. PVC can release dioxins. Dioxins are carcinogenic chemicals that can leach into the water tables. The SureCoat Roof System can be used over PVC roof membranes to extend their service life, encapsulate the existing PVC roof and keep the single-ply roofing membranes out of landfills. EPDM (ethylene propylene diene terpolymer) is an extremely durable synthetic rubber single-ply roof membrane widely used in low-slope buildings/roofs throughout the United States. It’s two primary ingredients, ethylene and propylene, are derived from oil and natural gas. EPDM rubber single-ply roof membranes are available in both black and white, and are sold a broad variety of widths and mil thicknesses. 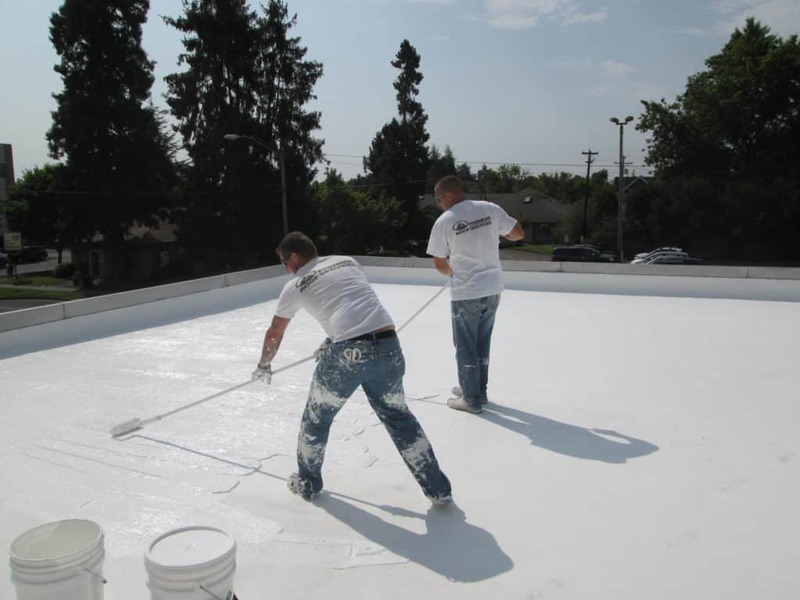 EPDM can be installed either fully adhered, mechanically attached or ballasted, with the seams of the roofing system sealed with liquid adhesives or specially formulated tape. 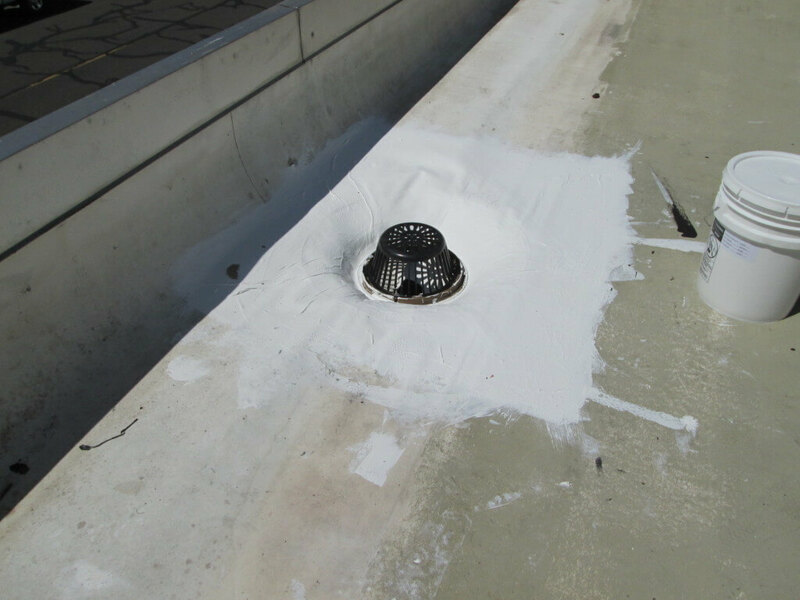 The SureCoat Roof Restoration System is easily used for repairs and restoration over EPDM and other rubber single-ply roof membranes.